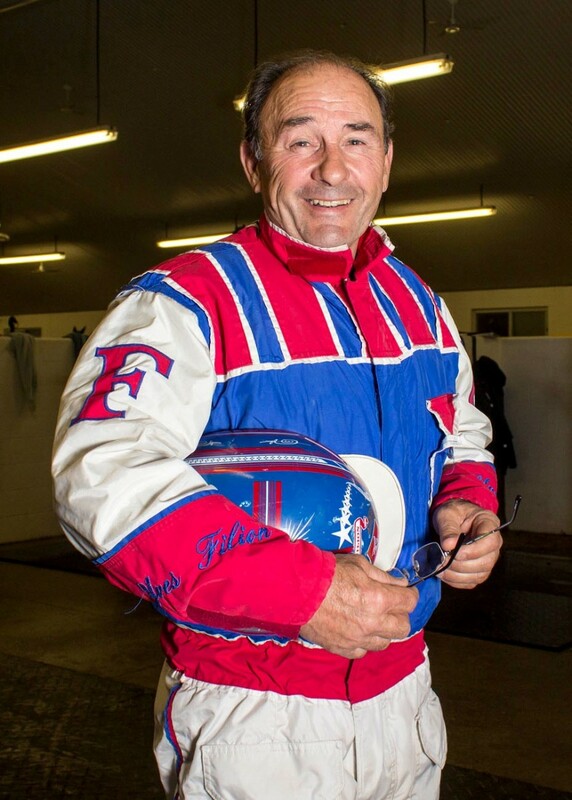 Yves Filion, 68, of Saint-Andre-D’Argent, Quebec was one of Quebec’s premier drivers and trainers for the better part of 30 years. He has driven in over 18,000 races and has 4,387 victories and earnings of over $26.7 million to his credit. He’s also trained 273 winners and horses to earnings of nearly $3.7 $3.6 million, and bred many successful horses at his Bayama Farms. Two of the most successful horses that he developed, trained and drove were millionaire pacing colts Runnymede Lobell and Goliath Bayama. Yves trained and drove Runnymede Lobell to victory in the 1988 North America Cup, his richest of 31 victories. He won over $1.6 million during his career. Goliath Bayama was another millionaire that Yves not only trained but bred. Considered his top trainee, Goliath Bayama won 25 races and earnings of over $1.5 million in his career. After his two-year-old season, Yves turned the driving duties over to his son Sylvain. The pair combined for a runner up finish in the North America Cup in his three-year-old campaign. As an older pacer, Goliath won both the Breeders Crown in 1:48.4 and then the US Pacing Championship in 1:48.2 in 2001 at the Big M. On August 19, 2001, Filion’s Goliath Bayama set a Canadian record of 1:48.1 at Hippodrome de Montreal and then his trainee Ring of Life, a horse he had purchased as a yearling, captured the Confederation Cup at Flamboro Downs. Filion’s son, Sylvain drove both horses. Filion bred, owned and trained pacing mare Rebeka Bayama, a multiple stakes winner who won 23 races and over $690,000 during her career. Filion also bred, trained and owned a number of Quebec champions including Goodtime Bayama, Sandy Bayama and Le Brave. Yves is a brother to Hall of Famer Herve Filion and the youngest of eight boys and two girls. His son, Sylvain Filion, was Canada’s Driver of the Year in 2012, 2013 and 2015.